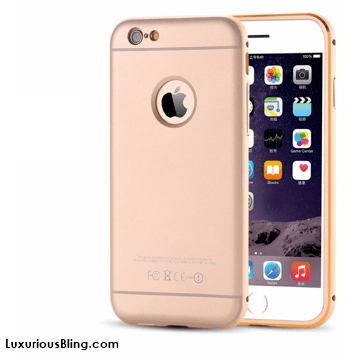 Get our Gold iPhone Case with Metal Frame and removable Bevel Back for iPhone 6 / 6 Plus. Show off your apple logo in style. Give your phone that classy look with our Gold iPhone Case with Metal Frame and removable Bevel Back for iPhone 6 / 6 Plus. The bevel back slips right off allowing you to use it two different ways. Also available in Black.